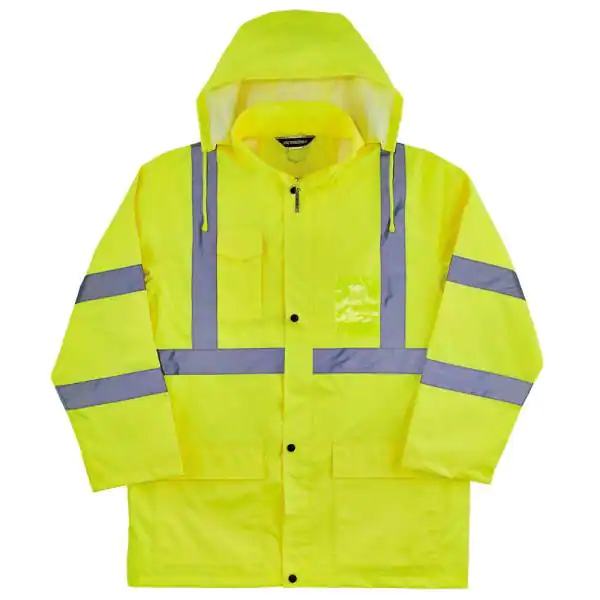 High Visibility Lightweight Rain Jacket. 100% Waterproof, 2,000 mm breath-ability, ANSI 107-2010, Class 3 certified. Jacket has a fully vented back, hood, two front side pockets and 10" opening at side seams. High Visibility Lime color.